Abatan LRED cluster, ecotourism master plan to boost development – PROCESS-BOHOL, Inc.
ABATAN CLUSTER LRED PLAN (presented by DTI-Bohol Provincial Director Nannette C. Arbon) and the Abatan River Ecotourism Master Plan (presented by Dominador and Stella Lopez of EGD Lopez and Partners) were approved by the Abatan River Development Management Council (ARDMC) represented by the Council Chairman Mayor Roberto L. Salinas of Catigbian, Mayor Victoria M. Chatto of Balilihan, Mayor Cecelia Rebosura of Antequera, Mayor Apolinaria H. Balistoy of Cortes and Mayor Leoncio Evasco, Jr. of Maribojoc. Gov. Erico B. Aumentado and Cong. Edgar M. Chatoo along with DTI 7 RD Asteria C. Caberte and Miriam Bacalso of GTZ-SMEDSEP 7, Provincial Tourism Council and representatives from private sector expressed their strong commitment of support for the development of the Abatan cluster. A new and distinct tourist destination in the province is on its way that will surely enchant visitors for a rich natural and cultural heritage experience. This was ascertained during the “Presentation of the Abatan River Ecotourism Master Plan and Abatan LRED Cluster Plan” on November 3, 2008 at the Bohol Tropics Resort. The initiative is a masterpiece of Cong. Edgar M. Chatto of the First District of Bohol and the Abatan River Development Management Council (ARDMC) chaired by Mayor Roberto Salinas of the municipality of Catigbian and co-chaired by the mayors of the other four municipalities of Maribojoc, Cortes, Antequera and Balilihan (who were all present during the activity) with active coordination by partners from the German Technical Cooperation-SMEDSEP and the Department of Trade and Industry. 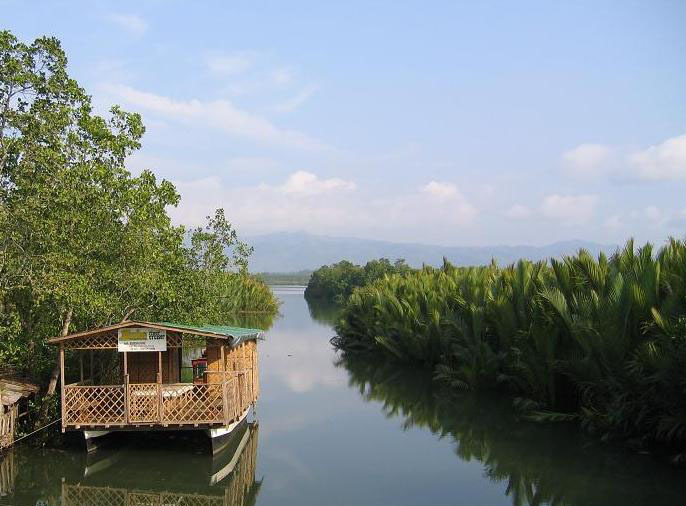 The Master Plan promotes Abatan River not only as the usual river tour, but as a real community-based ecotourism experiencing community life enjoying the serenity of the river and its nature. 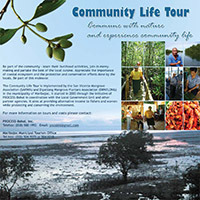 Thus, it is called “Abatan River Community Life Tour and Nature Experience”. Furthermore, the branding of Abatan will continue with the adoption of a unified architectural character, basically-Asian Filipino with unique identifying features and indigenous materials appearing in all the major Abatan structures. The master plan was developed by the EGD Lopez and Partners, an architectural firm based in Manila who personally presented the plan. The Abatan Cluster Local Regional Economic Development (LRED) captures the aspirations of each town and its systemic competitiveness in the cluster. The LRED tool is introduced by the GTZ in partnership with the Department of Trade and Industry. This program of the GTZ is piloted in the Visayas and the Abatan area is the first to engage in a cluster. The purpose of the LRED is to build up the economic capacity of a local/regional area to improve its economic future and the quality of life for all. The LRED concepts and objectives were presented by Miriam Bacalso, Program and Regional Coordinator of GTZ Region VII and followed by the presentation of the Abatan River Cluster LRED Plan by Nanette Arbon, DTI Provincial Director. The Abatan Cluster LRED Plan which is a product of a series of municipal LRED workshops of the five Abatan towns produced five major interventions namely: Development and Operationalization of Abatan Ecotourism involving Community and Private Sectors; Strategic Focus Value Chain for Agriculture; Market Driven Product Development and Value Chain for Crafts; Environment Management Framework and Spatial Plan; and Investment Promotion and Marketing. After the presentations, key players of the local tourism industry joined together for a critiquing session which was moderated by Blair Panong of DTI. The session was participated by the following: Dir. Aster Caberte, DTI Regional Director, Ms. Marie Antoinette Bolo, BOFETTO President, Ms. Elvie Sarmiento, BSTA President, and Ms. Ma. Fe Dominese, Head, BPIC. Their reactions and additional inputs will be considered in the finalization of the Master Plan. Ms. Bolo and Ms. Sarmiento both important tourism industry players committed to promote and market Abatan once a complete tour package will be developed. The Abatan Ecotourism Master Plan and Abatan Cluster Plan were formally adopted during the ARDMC Full Council meeting held right after the presentation. Three different proposals for the Abatan River Community Life Tour development were also presented to the Council. PROCESS-Bohol, Inc., who is currently serving as the secretariat of the Council, was also officially designated as the project management office by the ARDMC. As such, PROCESS will be primarily responsible in the operation of the Abatan River Community Life Tour. The over-all activity was facilitated by Ms. Rosalinda Paredes.